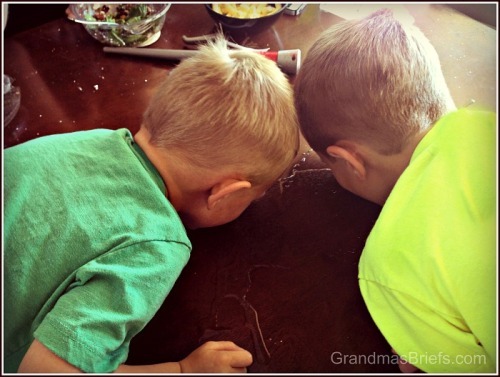 My grandsons, Bubby and Mac — who will be 6 and 3 in June, respectively — are pretty responsible little critters. One day last week, Bubby and Mac were being their regular rambunctious selves at the table and managed to knock over Dad's soda. When Dad told them they had to clean it up, they quickly did. No sense crying over spilled soda for these two. The boys just took responsibility and got right to work — and proved that sometimes tongues work far more efficiently than towels when there's a job to be done.